New & Used Carpet Poles, Rug Rams | ACE Industrial Equipment, Inc. Ace has a wide variety of new and used carpet poles or rug rams. 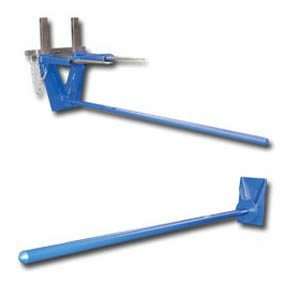 Carpet poles are used for the easy handling of rolled carpet and attach to almost all forklifts. We also offer a wide variety of carriage-mounted carpet poles/rug rams. All of our carpet poles and rug rams have steel construction and are of the highest quality. Our team of buyers scour the nation getting the best deals on new and used carpet poles, so you can be assured that we have it in stock, and at the best price! For more information on our new and used carpet poles, call 1-800-300-6034.